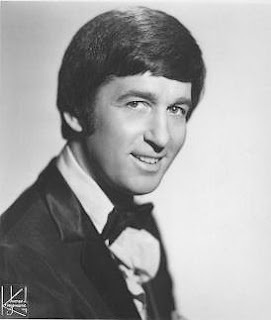 The name you'll certainly know, especially if you have East Coast roots, is disc jockey Clay Cole. Particularly in the New York area, his show was one of the best teenage dance shows around. Peter Noone of Herman's Hermits once said, "New York was home to 'The Ed Sullivan Show' and 'The Clay Cole Show' and when we first came to America, we were told we must do Clay Cole and Ed Sullivan. Trouble is, we didn't know which was which." And Cole pulled off a historic feat on one particular show: He had the Rolling Stones, who were in the studio, and the Beatles (via satellite) on the same program called, interestingly enough, "The Beatles vs. the Rolling Stones." The Coney Island summer season this year still thrived considering the embarrassing mishaps of Thor Equities and the first time in almost four decades that Astroland was not here. 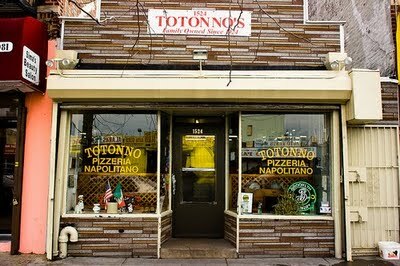 Coney summer goers did do without another Coney iconic place: the pizza place..."Totonno's Pizza. According to the owners of Totonno's Pizza which was damaged in a fire last March will reopen sometime around mid-October. Though the fire did cause some damage, the closure was for reasons of the building's structure as city inspection recognized. The building, located at 1524 Neptune Avenue, was found to be compromised to the degree that it couldn't support the weight of the oven it housed. But renovations have been underway all summer so expect to grab yourself a warm slice this fall and winter. My name is Mike Bruckner. Perhaps some of you reading this remember me or my brother Dave. Maybe you were one of the "kids" who beat me up. I was a skinny kid with glasses. Easy target. I lived in Coney Island from the year of my birth (1951) until 1964, when we moved to Bensonhurst. At the time that was the saddest day of my life. I went to PS 188, then in 5th grade they moved us to the brand new PS288. That seemed like we were in the lap of luxury compared to the old school. From there I went to Mark Twain for 7th grade and part of 8th. Then in November of 64, we moved. Although I never lived in the projects (as my dad referred to them), I (along with my brother) played in the Big Park from 1959 'til 1964. We got to know lots of kids there. Our best friend was Joey DePinto. Of course we have the same memories as the rest of you: punch ball, stick ball, Al the ice cream man, going under the boardwalk, etc. When I moved to Bensonhurst and enrolled in Bensonhurst JHS, the first thing I learned was everyone wanted a chance to beat up the new kid. Bensonhurst at the time seemed almost genteel compared to rough and tumble Coney. They looked down their noses at me like I was white trash from the wrong side of the tracks. Well if there was one thing I learned in the Big Park it was you gotta be tough. You've got to stand up like man and take your lumps and give some back. I was determined not to let these snobby kids get the better of me. Like life in general, I won some and I lost some. In the end though, after fighting my way through most of the class, I gained a certain amount of respect from them. Thanks Coney Island. By the way, little did I know on that dismal day in November '64, I hadn't seen the last of the island. In the summers of '66 and '67, I worked at the "Corner Cigar Store". You may remember it. It was diagonally across from Nathan's on the corner of Surf and Stillwell. In '68 I worked briefly at Steve's clam bar which was on the boardwalk, then Eddie's Fascination. My last visit to Coney was in March 2005, just before I moved to Texas. One last stop at Nathan's and the Aquarium. Ironically, here in Houston they refer to hot dogs as coneys. I am a proud graduate of the Coney Island Houses school of life, circa 1950's, 1960's, and early 1970's. My major was "Big Park", which was the most popular major of our day, and one that has fallen on hard times in the decades that followed us. Our alumni numbers in the thousands, and our school has produced professors and doctors, writers and entertainers, educators and businesspeople, civil servants and entrepreneurs, house persons and homeless persons, law enforcement professionals and ex-cons, attorneys and and the disenfranchised, athletes and activists, writers and check kiters. Though our universe once spread from 29th street to 32nd street, our alumni is now spread over the four corners of the globe, and that shall not be defined as Staten Island, Bensonhurst, Flatbush, and LONGIsland. Though I once believed we all sprung from the same strand of DNA, our alumni numbers Liberal Democrats, Card-Carrying Fox News watchers, Libertarians, Anarchists, Communists, and Justdontcareists. Contrary to popular opinion, we celebrate our religious holidays at synagogues, churches, mosques, Off-Track-Betting parlors, and wherever we wish. We are happily married and never-married, divorced and cohabitating, proudly gay and heterosexual, charitable and inhospitable, in Olympian-shape and Globulous Mass-shaped, passive and argumentative, intuitive and clueless, inquisitive and uncaring, sensual and senseless. Though we were not a virtual melting pot, we are a multi-cultural group; we are of a rainbow of colors, and we celebrate that. Though not all of us loved one another as children, we have grown and evolved through the years, and we love one another deeply and passionately and feel forever connected. We believe that our school prepared us for life in a way that few others share and understand, and in a way that those that followed us in the decades since cannot understand. We feel special and blessed to have had the opportunity to spend our childhood in such a school, and know that while we may have once been categorized as lower-middle income, our experiences were rich, and our lives privileged. The world we grew up in has changed forever, and though so much of that world has become better, we believe that much of what we experienced exceeds anything our children and grandchildren will ever know about. While many of us have regrets in our lives of things done or as yet undone, virtually all of us would love to have one last opportunity to run full speed into the ocean and dive in head-first before the cold water chases away our nerve. We sometimes think about our beloved classmates who are not here to help celebrate our reunions, and we honor their memory. We were not, as I once believed, one homogenous mass, with one mind-set and one set of opinions. We all came from the same place, and we have all evolved in ways unexpected, and in ways unimaginable. We look at pictures of ourselves as kids, and we smile, we shed a tear or two when the intense memories are stirred. We hug, we laugh, we embrace. We are the graduates of The Coney Island Houses, and we will always be connected, and will always care about and for one another, and this makes us unique, and special, and GOOD. Though many of us have traveled a long and hard road, we are the lucky ones. We are still here.